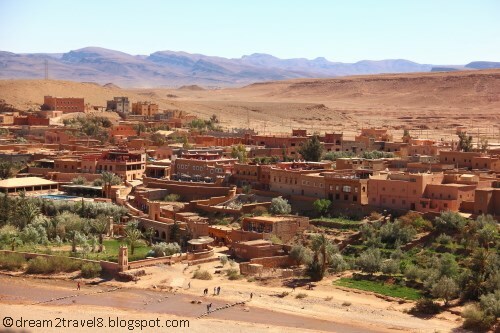 I've been fascinated by Morocco ever since I read a book set in the place. 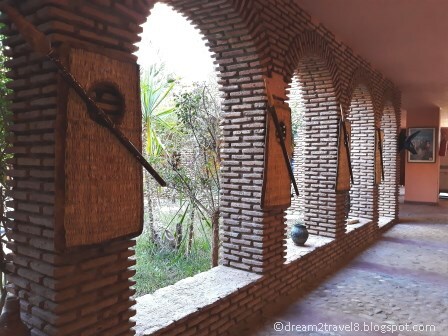 :) Thank you for this detailed post and the gorgeous pictures. 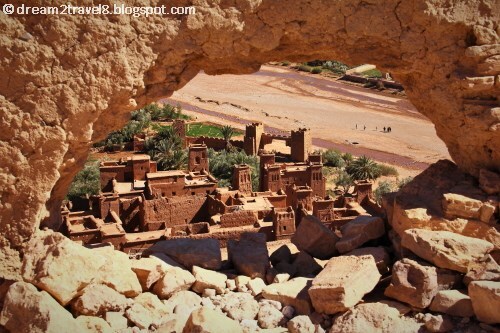 You tempt me to plan a visit to Morocco soon. 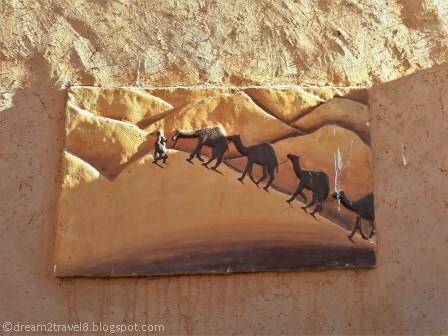 Morocco has intrigued me for so long. I am going to save your post for our travel plans. 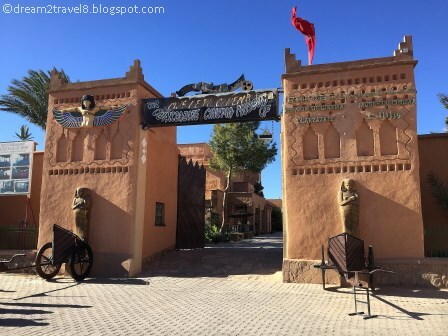 Lovely to learn more about Ouarzazate and the Sahara Desert accessed via Morocco. 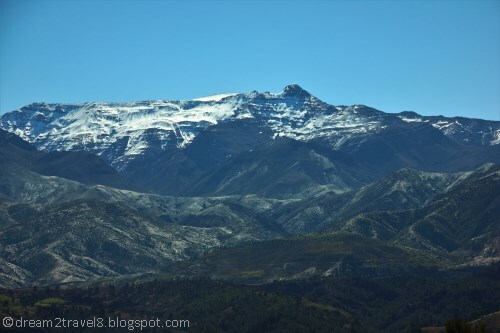 The scenery looks so striking, and quite varied. 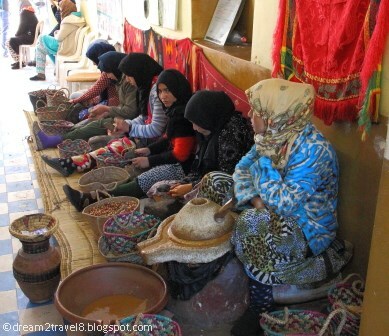 Love the photo of the Argan oil ladies too. The place looks so beautiful! The cinema museum is an interesting place. 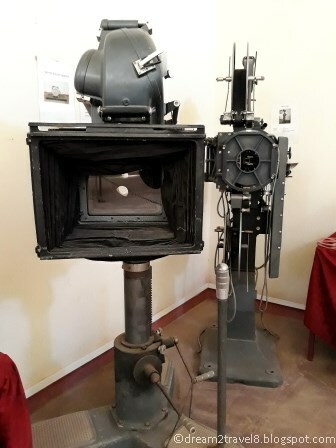 I would love to take a peek there and see the old filming equipments. Do they shoot here now? Hi! 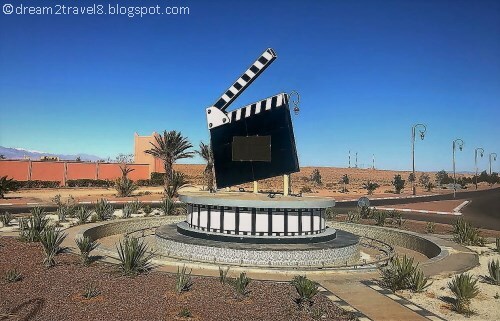 Thanks for dropping by once again :) Indeed, the landscape changed quite dramatically as we moved along to different parts of Morocco, guess this is also part of the charm of this beautiful place! 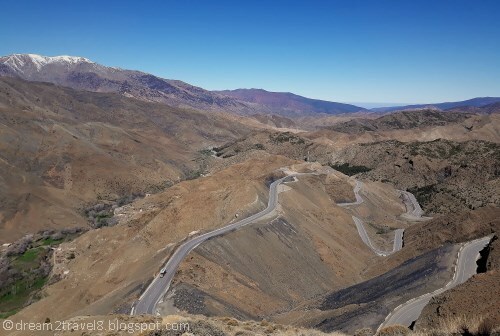 I would be scared to drive along Tizi n’Tichka! 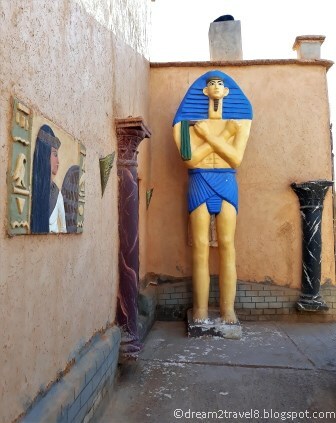 Haha Would check out this place if I went to Morocco, too bad it's too far from Marrakesh. Wow! This sounds like an interesting tour. 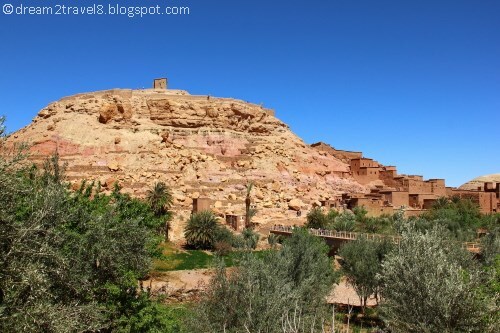 The vistas of Ouarzazate are quite captivating. 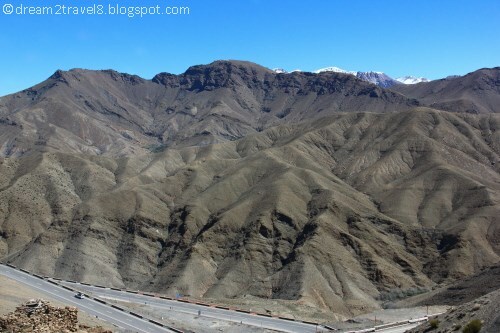 The view of the barren and snow capped mountains and the roads snaking through them is a sight to behold. 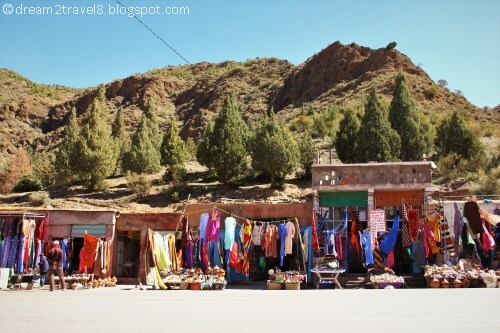 The colourful souks in a rustic setting look fascinating. 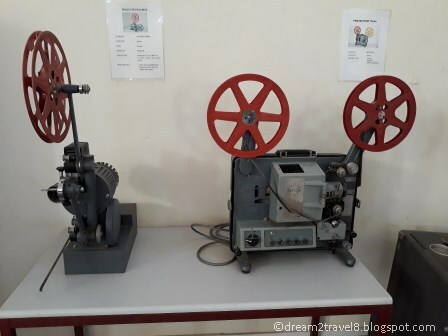 I would love to explore the cinema museum as well - a great step back in time. Morocco is on my bucket list. Hopefully, I'll plan my visit soon. 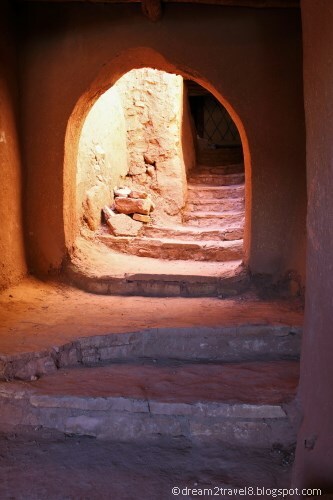 There is so much of earthen/mud like housing all over the middle east. 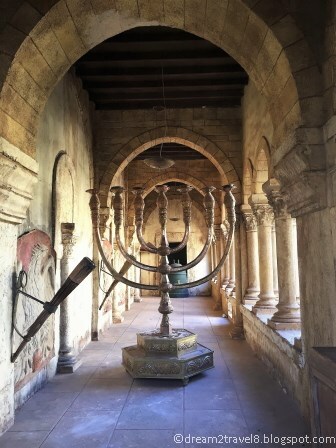 Sometimes I wonder why such an architecture was built. The scenery of the place is beautiful despite it being orange all over. I liked the pathway where you mention the souk. Glad that you enjoyed the photos! 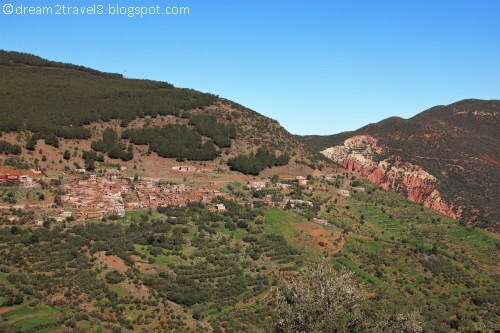 Do look forward to my upcoming posts on the other towns in Morocco! 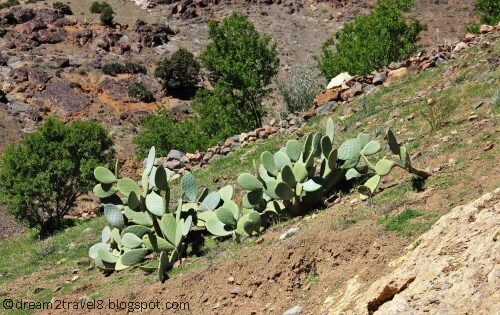 Morocco is really a worth visiting country with those rugged landscapes, colorful souqs and a unique cultural place. 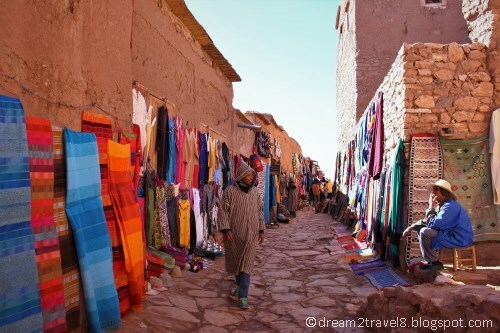 I loved the colorful souqs in Ksar of Ait Ben haddou. Those mud colored palaces and houses are really photogenic. Glad that you enjoyed the photos! Stay tune to my upcoming posts! !